I present slides at conferences. In this scenario, I just need something that produces the right display for the projectors, let’s me use an adapter, doesn’t run out of batteries quickly, and gives me enough power to edit PowerPoint slides from my hotel room. I write posts in WordPress while on the go. I write in cafes, hotel lobbies, airport lounges and more. Sometimes I use an app called Desk. Other times I write directly in the WordPress interface. But it’s not a power-hungry activity. Any internet-connected device will do as long as I can type quickly. So the keyboard size is important. I manage remote staff. Whether I’m on the go, or in my home, I use the computer to manage staff. That normally means four applications – Excel (quotes, business models, etc), Slack (instant messages), skype (video calls) and a browser for email. Screen resolution is important for Excel, but other than that, most computers can do all of this. I browse, read & shop online. The last way I use the computer is to browse and read articles online along with making online purchases (mostly at Amazon). This particular effort is normally not at my desk in my home office. This effort is normally while sitting in the living room, while my wife is watching television. I no longer do much that is computationally complex. In three of the four situations, I’m not at my normal office desk. Lap computing is a regular part of my day. 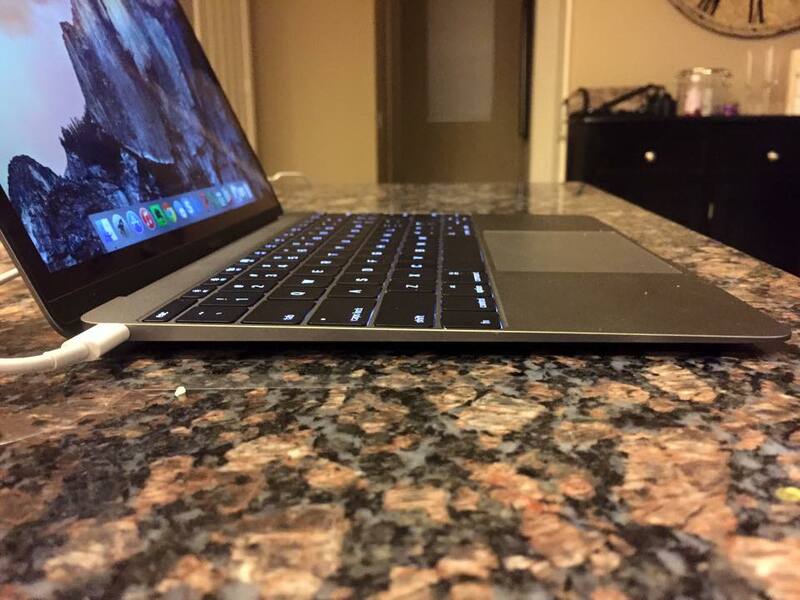 The last two items are what caused me to look closely at the new MacBook. It doesn’t heat up much. It’s light. And the Retina support is what I’d been looking for from the MacBook Air line for a long time. Well, now that it’s here and I’ve used it for a day, with tons of hours on my lap waiting for it to heat up or run out of battery, I can tell you that the new 12″ MacBook is perfect for me. But it’s perfect for me because of how I use a computer. And that may not be how you use your computer.